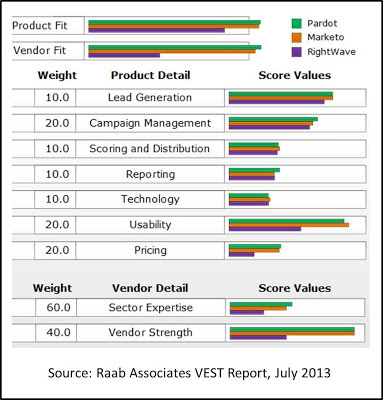 … the vendor comparison in our VEST report shows that RightWave’s core functionality – for lead generation, campaign management, scoring and distribution, and reporting – is on par with mid-tier leaders Pardot and Marketo. RightWave has the features to support pretty much any program marketers might want. More important, RightWave clients are more likely to actually run sophisticated programs because the RightWave staff will build them without the clients needing to learn how. RightWave staff also helps with data quality and analytics, two other areas where many marketing departments lack expertise. Read the entire article by Mr. Raab at How RightWave Solves the Marketing Automation Skill Shortage.